R DESIGN is a Landscape Architecture, Urban Design and Land Planning firm. Our firm has designed and managed numerous projects ranging from small courtyards to large community master plans. Some of our collaborators have included internationally recognized architects, public entities such as City Governments, School Districts and Parks Departments as well as private clients. Our work exhibits a commitment to preserve each site’s heritage, restore indigenous eco-systems and address the needs of cultural functions with creative and resourceful solutions. Founded in 2003 by Ransom Beegles and Ryan Manning, R DESIGN has been the recipient of numerous design awards and has also been recognized by local and national media. Ransom Beegles attended Colorado State University and received a Bachelor of Science in Landscape Architecture with a minor in Construction Management.He brings experience with project management, innovative site planning and construction detailing. As a native of Colorado and an extensive traveler he strives to combine contemporary design solutions while honoring each site’s heritage and ecology. 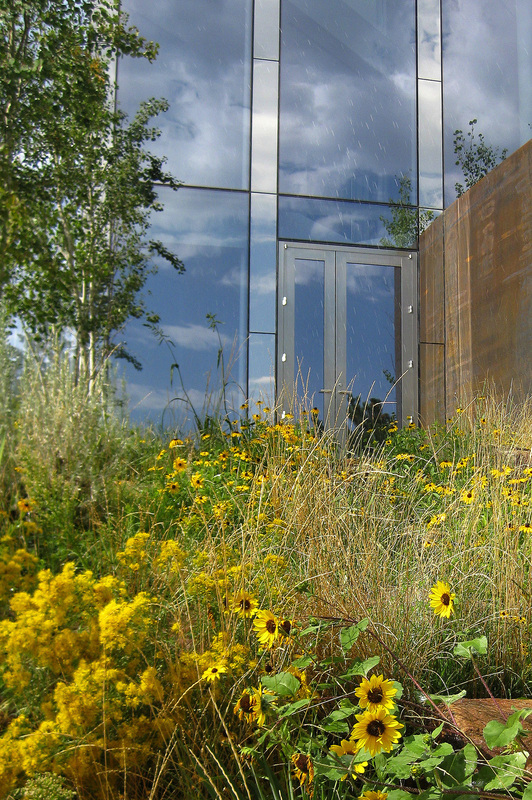 Ransom is a licensed landscape architect in the state of Colorado. His interests are studying modern architecture, art, music and sketching. Ryan Manning received a Bachelor of Science in Landscape Architecture from Colorado State University. As a native to the Hudson Valley region of New York, Ryan has a deeply rooted connection to the land where his family has lived for more than 275 years. He manages the New york office which focuses on projects in Dutchess County, Westchester County, Columbia County and Litchfield County in Connecticut. He has designed, detailed and managed a diverse range of projects infusing innovation with proven traditional principals. He is a project designer with the strong ability to detail construction methods and implement creative design solutions. Ryan is a licensed landscape architect in the states of New York and Colorado. His work strives to expand the boundaries of ecology, culture and timeless design.